I've retired The Bat. Maybe I'll give away the airframe or auction it off. Maybe I'll just put it in storage. I keep crashing it, or having problems with the gear in it (glitches, fried a brushless esc, stripped tons of servos, etc.) so for now I'm done with this one. 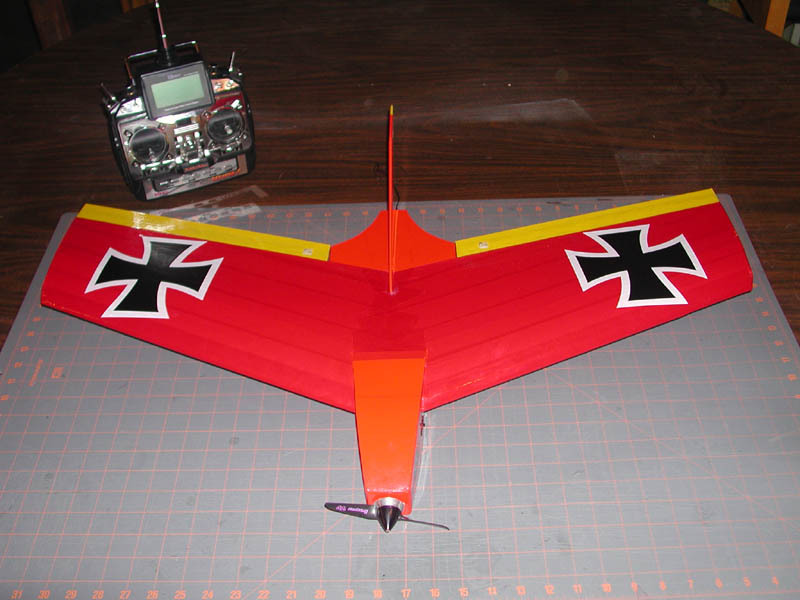 Flew great for many flights. I've definitely got my money's worth out of the tired old plane. Installed a Mega 16/15/3 with a 6x3 folder on 7 cells into the bat and it breathed new life into this previously lead-sled. New setup is lighter with more power. Flys great on a little over 1/2 throttle and is WOW on full power. Put a new speed 400 in the Bat last night - the one removed from my dead Zagi it's a little tired, but the old one in the Bat was bound up from a nose-in. Flew 8 flights this afternoon with the new coroplast fuselage. The Bat flys fine. I think I may have damaged my Speed 400 motor since it runs a little 'rough' and the power is down a little. I'll swap it out later on. 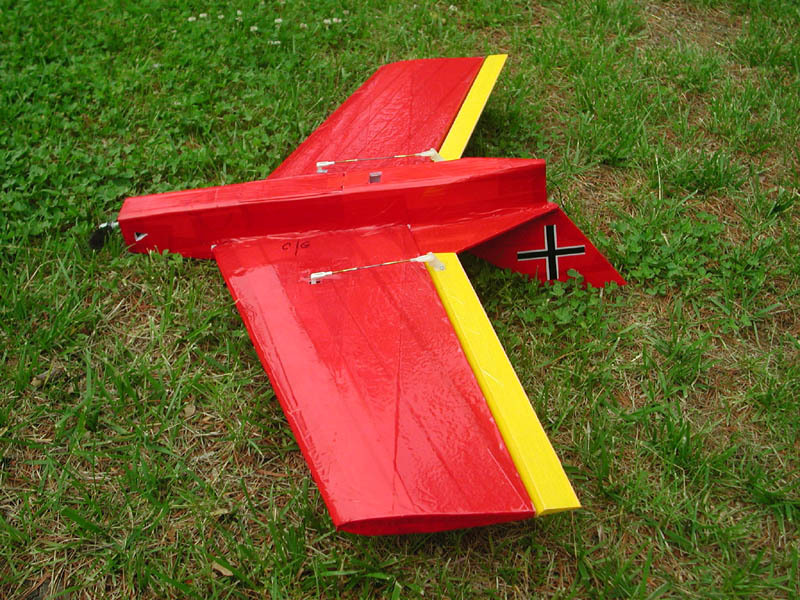 The coroplast fuselage is great - really shrugs off those tough landings! Flew the bad in terrible winds at club field day. I got about 12 great flights then got grounded on approach by a bad gust. 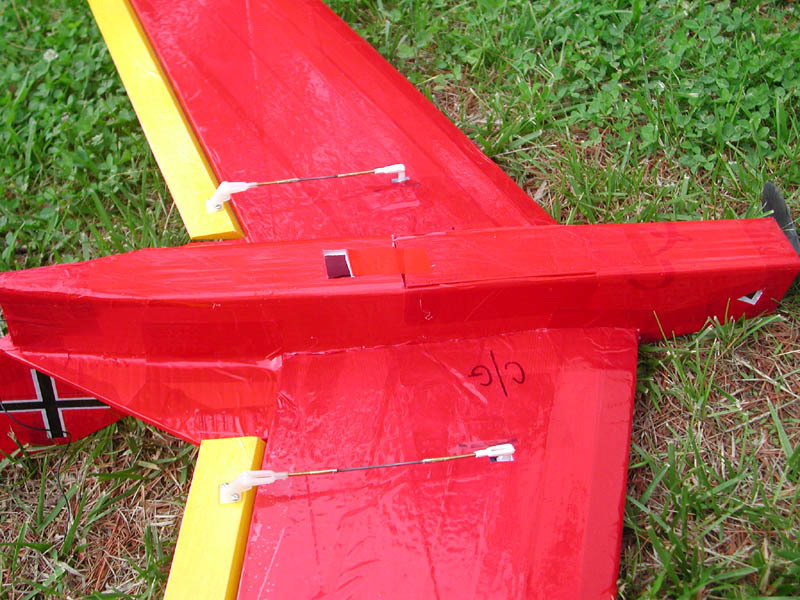 The balsa fuselage disentegrated on contact. 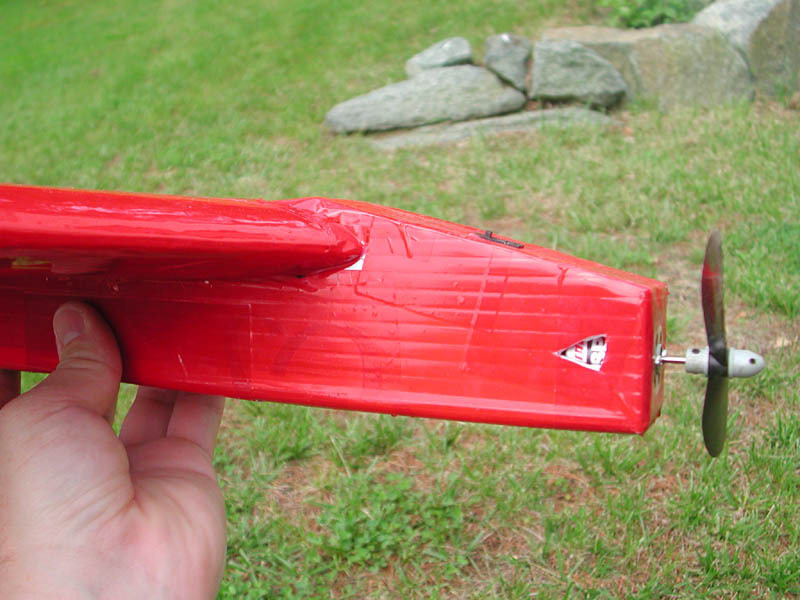 This plane flys so great that I'm building a coroplast fuselage for it to replace the balsa one. I think it should hold up much better to my rough use. I'm continually impressed as to how well this plane tracks in flight. It really goes where you point it and handled the high gusty winds just fine. 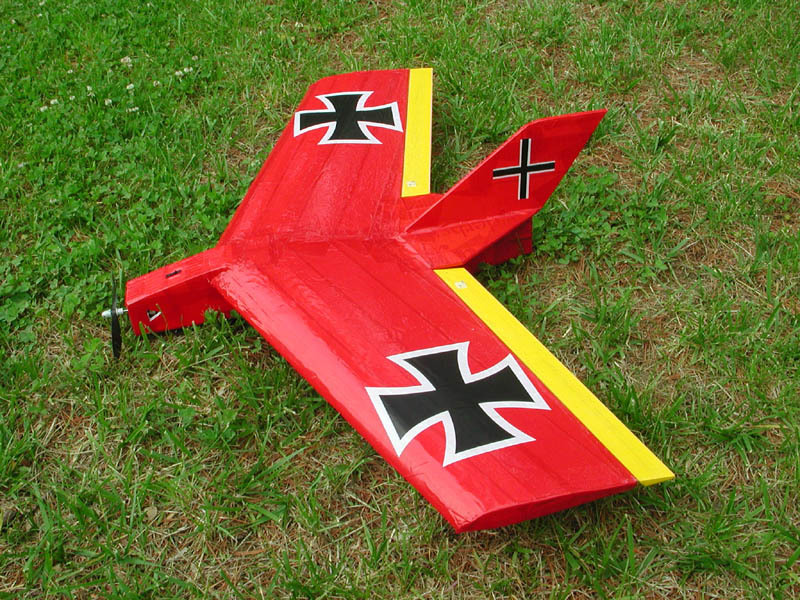 Maiden flight was excellent. The Bat flew right off my hand with only three clicks of right trim and no up/down trim at all. This plane grooves very nicely. Response is crisp to the control inputs and the plane is nice and quick. 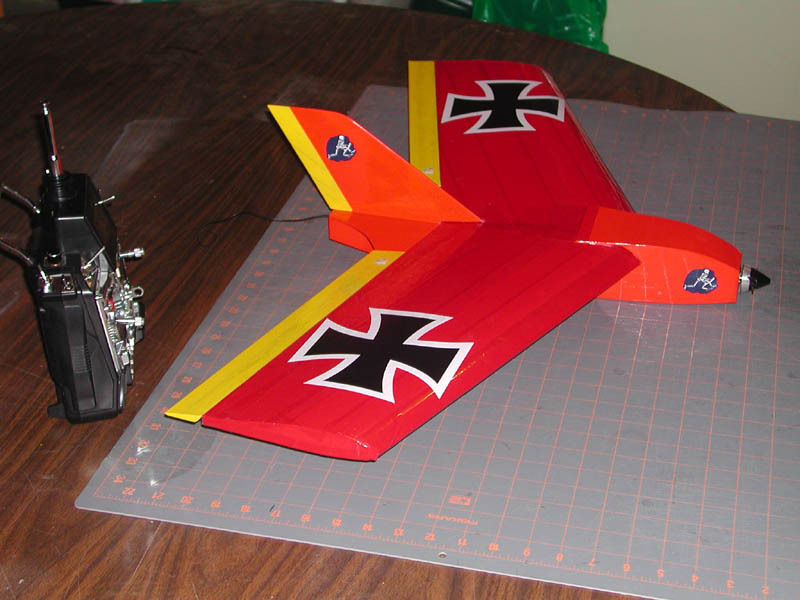 I tried a Gunther prop first, then Graupner Cam 'speed' props, 4.7x4.7 and 5.5x5.5, both were not as good as the good 'ol reliable Paul Gunther. I also plan to try a Cam 6x3 folder later on. I flew all 4 of my 7x600AE packs through the plane with no troubles. Landings were nice and easy, no tip stalls at all. This kit is called 'The Bat'. Power is Graupner 6-volt Speed 400 with 7 or 8 cell 600AE pack. 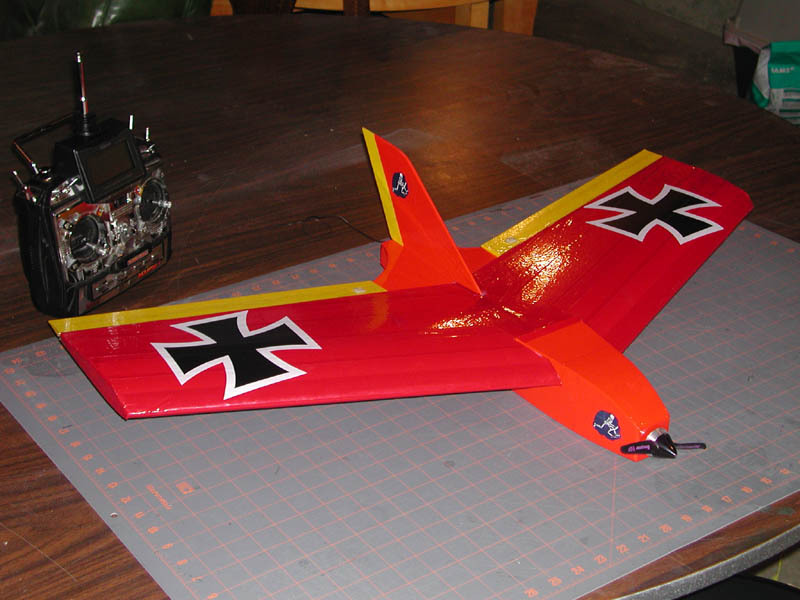 I'll do the trim flights with a Gunther prop, but soon switch to one of several Graupner 'Speed' props I have, or the 5"x5" Carbon spoon prop I got from Todd's Models.